Sony Pictures Release Behind-The-Scenes Featurette for 'GHOST RIDER: SPIRIT OF VENGEANCE'! Sony Pictures have released a behind-the-scenes featurette for Ghost Rider: Spirit of Vengeance. Nicolas Cage stars as Johnny Blaze aka Ghost Rider who after several years since making a deal with the Devil & living in self-imposed isolation, finds himself as the only person who can help save a child & ultimately the world thanks to his unwanted and uncontrollable power. 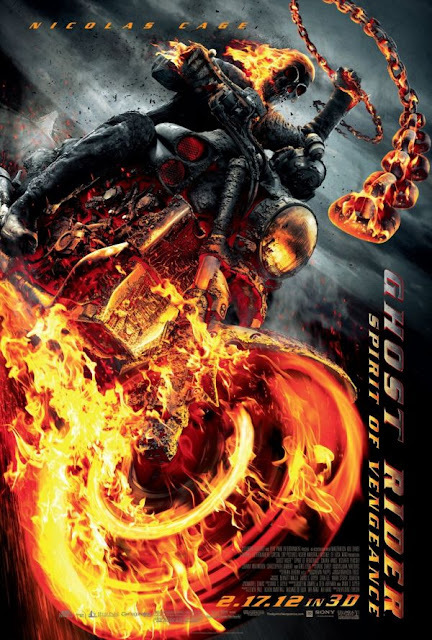 Ghost Rider: Spirit of Vengeance is directed by Brian Taylor & Mark Neveldine [Gamer] & hits theaters February 17th. The movie also stars Idris Elba, Johnny Whitworth, Ciarán Hinds & Violante Placido. Hit the jump for the details. Synopsis: "Nicolas Cage returns as Johnny Blaze in Columbia Pictures’ and Hyde Park Entertainment’s Ghost Rider: Spirit of Vengeance. In the successor to the worldwide hit Ghost Rider, Johnny – still struggling with his curse as the devil’s bounty hunter – is hiding out in a remote part of Eastern Europe when he is recruited by a secret sect of the church to save a young boy (Fergus Riordan) from the devil (Ciaran Hinds). At first, Johnny is reluctant to embrace the power of the Ghost Rider, but it is the only way to protect the boy – and possibly rid himself of his curse forever. Directed by Mark Neveldine and Brian Taylor. Screenplay by Scott M. Gimple & Seth Hoffman and David S. Goyer. Story by David S. Goyer. Based on the Marvel Comic. Produced by Steven Paul, Ashok Amritraj, Michael De Luca, Avi Arad, and Ari Arad." 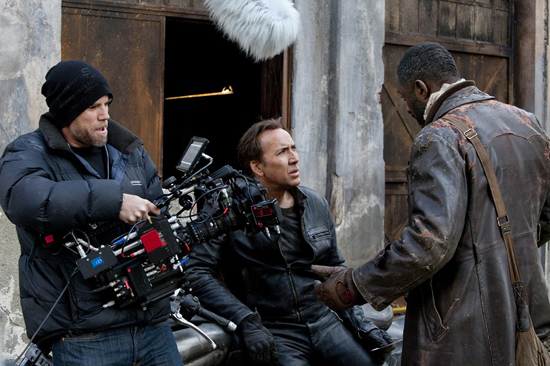 I'm reading: Sony Pictures Release Behind-The-Scenes Featurette for 'GHOST RIDER: SPIRIT OF VENGEANCE'!Tweet this!